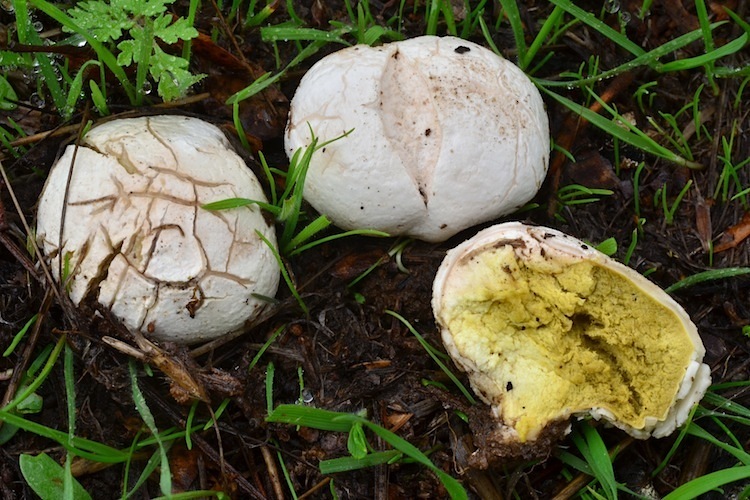 Bovista is a group of fungi that produce small puffball-type fruitbodies. 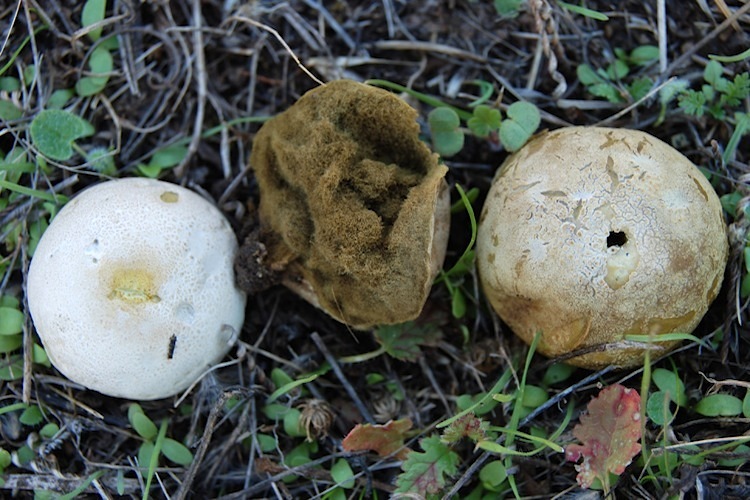 The genera is difficult to reliably distinguish from other genera of puffballs, but the dark yellow-olive to olive spore mass in age, a peridium that in some species turns dark and metallic in age, and a tendency for the older fruitbodies to become detached from the soil and blow around in the grassy meadows they tend to inhabit. All are saprobic, growing primarily in exposed settings on poor soil, often in short-grass meadows and at forest edges. Important identification characters include definitive separation from other puffball genera requires microscopic examination of the capillitium. Like Lycoperdon, Bovista fruitbodies tend to retain their cottony-spongy texture in age, due to capillitium fibers that do not break into smaller fragments.